CooksRecipes special collection of family-favorite recipes for sauces and condiments that you can count on for successful deliciousness. 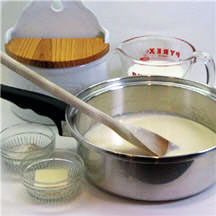 Bechamel—or white sauce—is one of the five mother sauces. 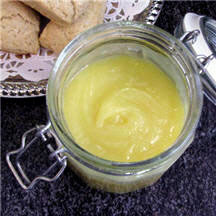 Lemon curd is a spreadable sweet sauce that is smooth, lemony and buttery. It is wonderful spread on scones, toast and such, or it can be used as filling for cookies, tarts and pies. 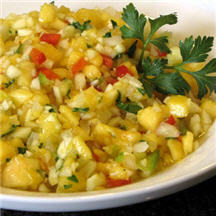 A cool and refreshing fruit sauce with just a hint of fiery tease. Delicious served with roasted and grilled pork, poultry and lamb entrées.